Some of the useful techniques for cycling uphill from 3% long drags to 30% wicked hairpins. Avoid going into the ‘red’ too early on the climb. Don’t get carried away on the lower slopes, if you still have a long slog to the top. Maintain a reasonable cadence of 65-80 rpm. It will be a lower cadence than normal, but avoid pushing a big gear at a very low cadence. Anticipate steep sections in advance by getting into lower gear before. Traffic permitting, avoid the steepest apex and go wide around corners to maintain the best rhythm and constant speed. Where possible remain seated. Save standing on the pedals for the really steep hills and steep sections. Stick to your own pace. It is counter-productive to try and stay with much quicker riders. You will lose more time in the long run. Know what you are climbing – length, gradient, max gradient, and likely time needed. The effort required to cycle uphill increases exponentially as the gradient increases. 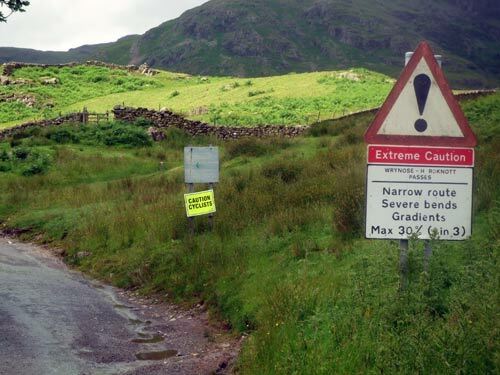 If you’re unfit / new to cycling don’t start off in the Lake District, it may put you off for life. You need a reasonable fitness before you tackle steep hills. Also, when you start to climb, you use your upper body and back more. Core strength exercises to strengthen upper back muscles will help a lot. Climbing in saddle or out of saddle? A big issue is whether to climb seated in the saddle or climb out of the saddle. In short, I find it best to be seated for long gradual climbs. Getting out of the saddle is useful for when the gradient really gets steep. Climbing out of the saddle is less aerodynamic and is harder work. It is good for short bursts of power, but you will tire more quickly. Snake Pass, gradient 7%. Time 11. mins. All climb is done in the saddle. Where possible, I try to remain seated when climbing. 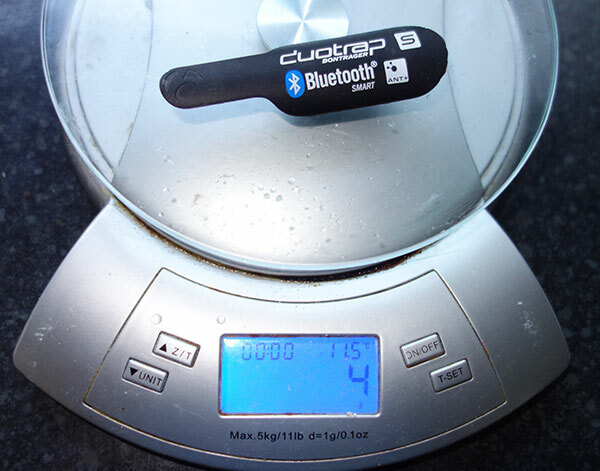 It is more efficient and you can maintain a high power for longer. It is also more aerodynamic. 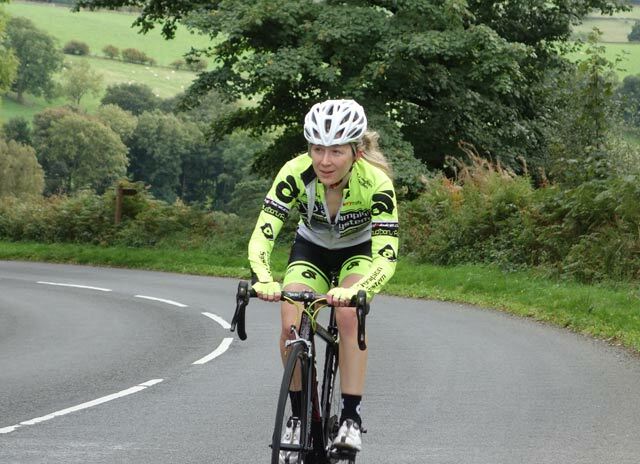 For novices, it is good training to try and climb whilst seated and get out of the habit of standing on the pedals as soon as the road goes up hill. Sometimes referred to as ‘standing on the pedals’. Here you employ a lot more muscles and upper body strength to help you pull up against the handlebars. If you stand up, you will get a short term increase in power. If you’re using a power meter, you will probably see your power increase significantly. This is great for acceleration or getting through a particularly steep section. But, when the fast twitch muscle fibres are exhausted, the burst of power will evaporate, and you will find your power dissipates. Bear in mind, there is no hard and fast rule about climbing in the saddle. If you watch the Tour de France, you will see different riders have different styles. A light rider like Alberto Contador always seems to be out of the saddle rocking around all over the place. A heavier more powerful rider like Cancellara will be much more likely to be going up the Alpine climbs whilst seated. Shorter, lighter riders generally do better out of the saddle than heavier riders. Sometimes it’s good get out of the saddle just to give your back muscles a stretch and break the monotony of climbing in the seated position. Some of my hardest hill climbing experiences have actually been due to a super strong headwind, as much as the gradient. The closest I came to walking up a hill was Wrynose pass (25%) but, that day there was a super strong headwind. Obviously, if you can keep lower on the bike, it helps avoid the headwind. This is why it can be good to practise climbing seated. 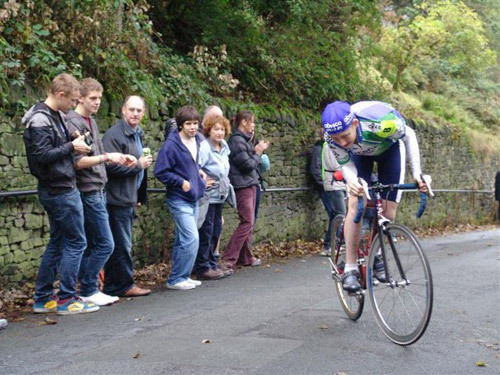 On the other hand, in 2013 the national hill climb had a 35mph tailwind, making it an advantage to do most of the climb standing up! Talking of pro techniques – watching last year’s Vuelta Espagne I was struck by the stage where Vasil Kiryienka (Team Sky) won. On the last climb, he was absolutely solid on the bike. His lower and upper back wasn’t moving – only his legs were moving. He must have worked a lot on core strength, this increases power climbing because more effort is going to his legs and less into his upper body. This is a hairpin on Box Hill. The rider is taking a wide route. Where possible you want to try and reduce the gradient of the hill by going wide on the corners and avoiding the apex. The shortest route is not the quickest. If you go through the apex you will break your rhythm and be forced to try harder. It is better to try and maintain the same gradient by going wide. You can keep in the same gear and maintain your speed; this is a secret of climbing, maintain your momentum where possible. Don’t really go into the red, until you see the finish line! 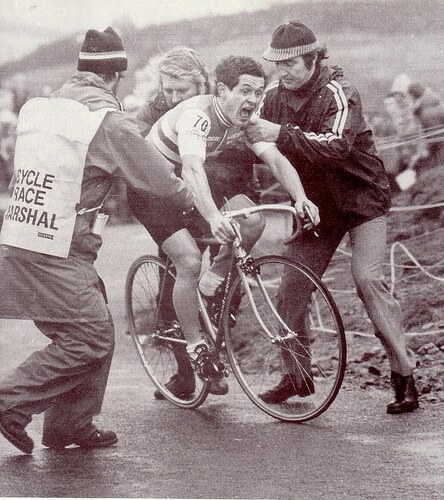 Needing to be caught at the top of the hill climb is not necessarily a recommended hill climb technique. One of the most important aspects of climbing hills is pacing. Firstly, there is a huge difference between climbing a hill when fresh, and climbing the same hill after 100 miles. A sportive rider needs to pace his effort through the 100 miles to leave enough in the tank for the last few hills. For the hills itself, it is important to have a rough idea of what you are facing. If you are doing an Alpine climb like Alpe d’Huez, I wouldn’t think of it as a short British hill climb, but more like a one hour time trial. If you’ve done a one hour time trial, you will have a better idea of pacing than you will doing five minute British hill climb intervals. The hardest hills are those which are long and steep for a long time. I once got caught out on Bushcombe Lane in Gloucester. It was 20-25% for a long time! It was winter, I wasn’t so fit and my lowest gear was only 39*25. 20% is OK, for a few 100 metres, but 1km of 20% is a different matter. Knowing the length of the hill would have made me hold back more at the bottom (I would also have much preferred to have a compact chainset) Knowing what to expect is important. It did have a 10/10 rating in 100 hill climbs, but I thought nothing in the South could be so hard. Gearing is going to be an individual thing depending on the hill and your fitness. The ideal is to have the gearing to enable you to maintain a respectable cadence for the hills you will face. If you’re doing the Fred Whitton Challenge (including 30% hills after 100 miles, most riders will need a compact chainset with 34*28). Even pros can use compact chainsets when the situation requires it. During a stage race in Italy, British pro, Alex Dowsett (who won a time trial in Giro d’Italia, 2013) was asked by his mechanic whether he would like a compact chainset or 30 tooth ring to get over a 30% hill – he replied both! There’s nothing macho about struggling to get a 39*25 over a steep hill at 30rpm! I know because I’ve done it many times. The Rake on a wet day is prone to wheelspin. Climbs can be made extra tricky by rain. As you stand on the pedals and make a big effort, the backwheel can spin and you lose traction. This is tough because, at the hardest point of the climb, you lose your speed and momentum. Wheelspin can be reduced by reducing pressure in the back tyre, e.g 70-80psi in rear tyre rather than 90-100psi. Also, a 25″ rear tyre will have more grip than narrower tyres. Some tyres have better grip in the wet, e.g. Continental 4 Season. Staying seated, if possible will help reduce wheelspin. The problem is that when the gradient is steep enough for wheelspin 20-25%, it’s usually impossible to do it seated anyway. Avoid sudden surges in acceleration. You are more prone to wheel spin, if you have a sudden surge in power, e.g. if you lose momentum and then standup and make huge effort, you are most prone to wheelspin. If possible, you will be maintaining momentum and anticipate the steepest section. Make a big effort, just before you reach the steepest gradient and then carry this momentum through the steep section. 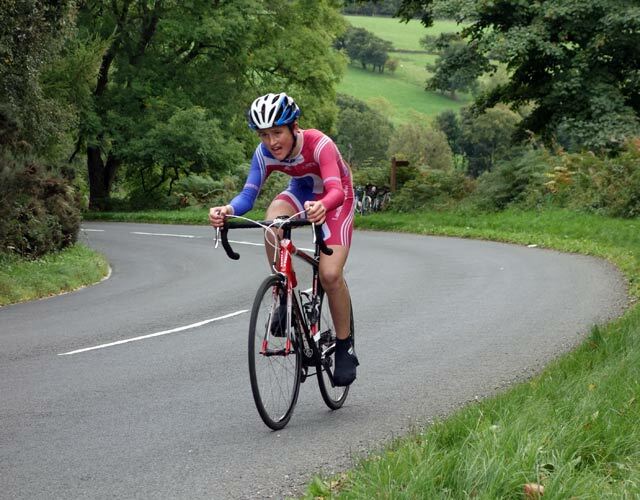 Sometimes, you just can’t avoid a bit of wheelspin, I just see it as part of the joy of hill climbing…. As a very rough rule of thumb, if the climb goes over 10%, I start to think about getting out of the saddle. After a minute of being out of the saddle, you will probably find yourself wanting a bit of respite to get back in the saddle. When climbing I’m very rarely watching my cadence reading. However, as the gradient increases, generally, your cadence will fall. It is not efficient to try and maintain a high cadence on really steep climb. Usually on the flat, I average 95 rpm, for shallow gradients, this may fall to 85rpm; for steep hills it may fall to 65-75 rpm. When I’ve over- geared, it’s fallen to 30-50rpm, but this is no fun and inefficient. For beginners, I would generally recommend training at a higher cadence on hills. I typically see novices try to force a lower cadence too early in the climb. 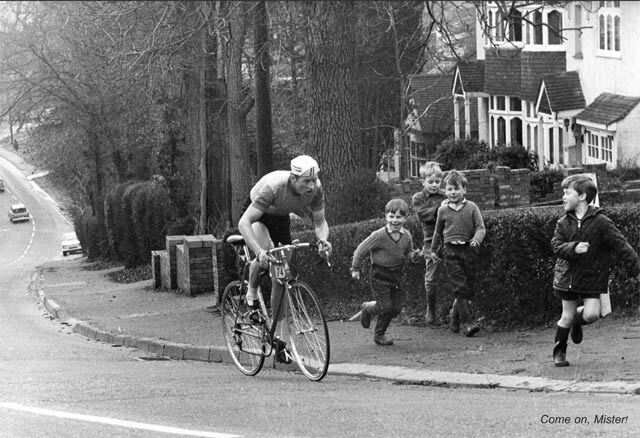 It is good training to try and climb whilst maintaining a higher cadence than normal. Try and keep a target of 80rpm. Climbing at a high cadence also gives you a bit more confidence should the gradient increase or you tire. It’s a bit of room for manoeuvre. A common mistake is a reluctance to lower you’re gearing and either try to do a hill in the wrong gear (too high) or not have enough gears. An important feature is to anticipate a steep gradient before it occurs. If you see the road veering up, lower your gear and start spinning a higher cadence. The main reason is that if you leave it too late, it is hard to change gear when the road is very steep. When you change gear, you momentarily disengage and lose speed. Once you’re on a 25% section, you don’t want to be making last minute changes. 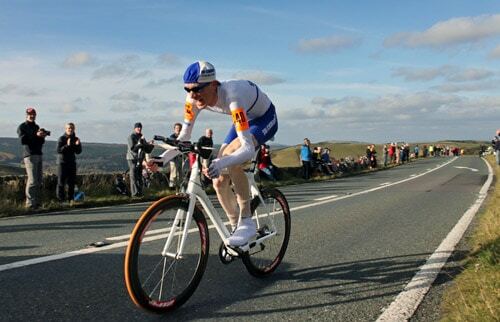 One of my worst experience climbing was in the 2012 National hill climb championship – after flailing around in a big gear, I had to go down a gear at the steepest 25% section of the Rake. A schoolboy error, after years of climbing hills. I was just too ambitious in trying to force a big gear up a steep hill. But, changing at 25% definitely knocks you’re momentum. It is important to use your gears to maintain a manageable cadence, but try to avoid very frequent gear changes because you do lose a little momentum when changing gears. Also, gears are most likely to fail you, when the hill is steepest. This is when standing on the pedals can be helpful in getting a bit of extra power for a short steep section, reducing the number of gear changes you need. Hill climb racing is another article. But, over the years, I’ve tried to reduce the number of gear changes I make in a hill climb. Will you really go faster on the big ring? One thing I’ve never really understood about climbing hills is the anecdotal evidence you sometimes hear from ‘enthusiasts’ that ‘you’ll go faster on the big ring’ I’ve never really understood this. The only thing to be aware of is the chainline. If you ride 39*11, the chain is at an awkward angle and will be more inefficient. You would be much better off riding in a 53*15. Both gears give a speed of 25mph riding at 90rpm. But, how many climbs do you go up at 25mph? To be honest, there are very few hills where the big ring is essential. If you ride 39*14 – that’s still 19.7mph at 90rpm. It’s a bad chainline, but if you rode 39*12 that’s – 22.9mph at 90rpm. The main thing is you want to avoid a bad chainline (stretching the chain at an awkward angle e.g. 39*11 or 53*23) This can happen when climbing because you’re making so much effort you forget which chainring you are in. Also mid climb, you don’t really want to be switching between inner and outer ring mid climb unless you have to. You might be better off accepting a non-optimal chainline than going up to big ring. 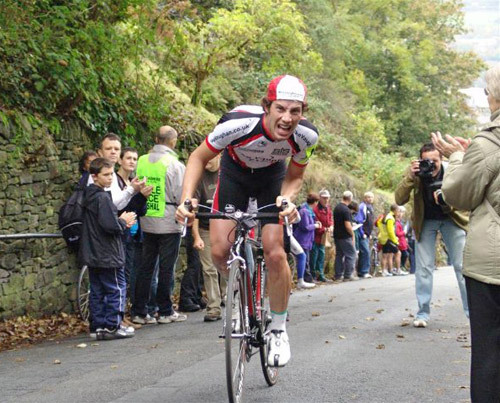 In 2013, national hill climb championship, there was a roaring 30mph tailwind. Despite an average gradient of 10%, I did a lot of the climb in the big ring. But, near the end of the race, I tried to go from inner ring to outer ring, but the gear wouldn’t move. Perhaps I was too exhausted to move the front mech properly. I suppose there is a vague sense of bragging rights, if you can claim you went up a climb in the ‘big ring’. Often in climbing, I have my hands on the top of the hoods. It is reasonably aerodynamic, comfortable and powerful. A classic hill climb position with hands on top of the hoods. 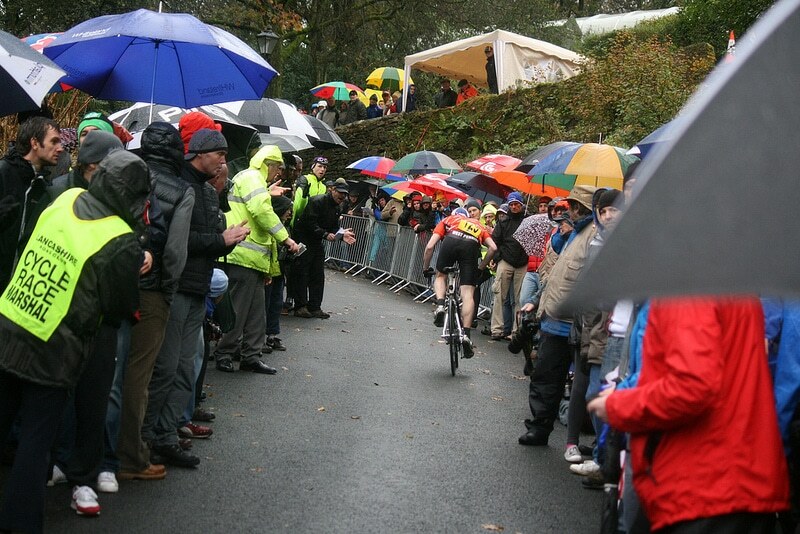 This is Norwood Edge in the Otley CC hill climb. I think this is Tom Cullen of Otley CC. Sometimes, in hill climbs, I find myself racing on the drop handlebars. This will be for hills with a gradient of 6% or less. It is the most aerodynamic position, but doesn’t really work when the hill is steep. It may be hard to believe, but for some hills of less than 3%, it can be quicker on a time trial bike. You’re very unlikely to choose a time trial bike, unless you’re doing very specific hill climb races. But, if you do hilly time trials or hilly triathlons, it is important to practice hill climb intervals on a time trial bike and not just a road bike. Park Rash, Yorkshire, 25% 30% on apex. Definitely some hills can look intimidating. Even after years of cycling uphill, I get a thrill when I see the hairpins of a climb like Hardknott pass looming in the distance. It’s thrilling and challenging at the same time. There’s a lot to be said for concentrating on one section at a time, and don’t worry about the rest of the hill. One of the best ways to tackle hills is to have the confidence that you know what you are climbing and that you are going to maintain a pace that you can manage to the top. This confidence from climbing hills will come from practise, knowing the hill and making sure you have the right gears. If you look up, the difficulty can put you off. 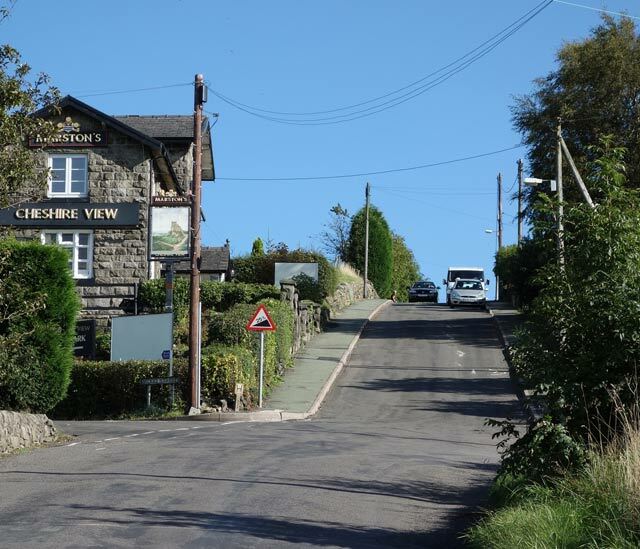 I remember last year racing Mow Cop, I was already in my lowest gear and I looked up where the gradient rose from 15% to 25%, this was a discouraging thought. From a personal perspective, when I was learning to cycle I never remember reading an article on ‘how to cycle uphill’. You just cycled and after 20 years of cycling you realise that cycling uphill is not entirely different to cycling along the flat, except it’s much harder work. 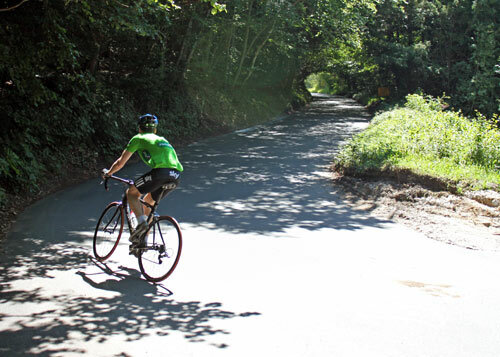 The best way to learn cycling uphill is simply to practise on different hills. The more you try different hills, the better you will know you’re limits and how to pace yourself. The best way to tackle hills is not to worry about rpm, cadence and technique but to have the confidence you know what to do and concentrate on the effort. In the past year, I’ve been using a power meter whilst climbing. It’s quite interesting tool. Some things stand out. As the gradient increases, you tend to see your power goes up quite quickly. When the gradient then reduces, it’s surprising how quickly the power evaporates. One training interval I do, is trying to keep a constant power going up the hill. This involves paradoxically concentrating and trying harder on the flatter section. However, for getting up difficult hills, it is inevitable you will save your biggest effort and power output for the steepest section. Generally, I wouldn’t advise looking too closely at a power meter whilst climbing. It’s better to learn to climb on feel. But, in training a power meter can be a useful tool to help learn what is manageable effort. If you see you’re doing 500 watts at the bottom of Alpe d’Huez, it is a clear sign you’re going far too hard. If you know you’re threshold power is 300 watts, that can be a rough guide to helping climbing long Alpine climbs. A power meter can help with pacing. In particularly helping to check you aren’t going into the red too early. In the UK, there are a few hills with a 30% plus gradient. These include Hardnott Pass (both E+W) in Lake District, Rosedale Chimney (North York Moors, Ffordd Penllech (Wales, upto 40%) Millock, Cornwall. 30% is a real test and not to be treated lightly. 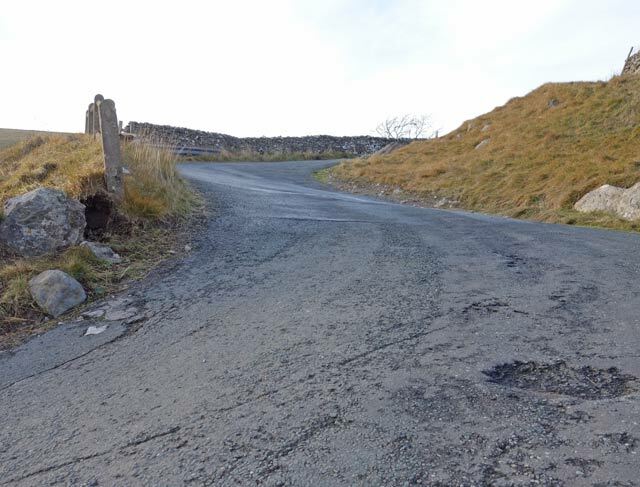 I vividly remember climbing Hardnott Pass in Lake District, at one point there is a straight section of 30%. You have to fully commit to giving it everything to get up. I had a strange feeling of falling over backwards whilst climbing. It’s just really hard, I had to rely on going wide on the corners, and trying to recover. Just go in your lowest gear and stay in there all the way to the top. Many British hill climbs are variable gradient. A series of ramps. To some extent you can recover on the shallower gradient and save yourself for the steeper section. For climbing long Alpine climbs, a different approach is needed. British hills typically may last 5-10 minutes. But, climbs like the Col du Tourmalet can easily take over 1 hour. As mentioned previously, a better guide is a one hour time trial, where you are riding at your threshold power. Sometimes watching procycling, you hear commentators talk about ‘power climbs’ or they may even be referred to as ‘big ring climbs’. These are essentially climbs with shallow gradient. It means heavier riders can use their power to keep in touch. At 3-5%, the gradient is not sufficient to really favour the lighter ‘mountain goats’. The steeper the climb, the less important power is, and the more important power to weight ratio becomes. This is more a general article for climbing hills. It’s not really geared towards those specialist hill climbers, who feel they haven’t really tried unless their legs go blue and they feel sick at the top of the hill, collapsing in an undignified mess. But, I’ll leave that for another article! In the good old days, everyone would ride fixed. Now that’s a proper way to go up hill requiring a different technique! 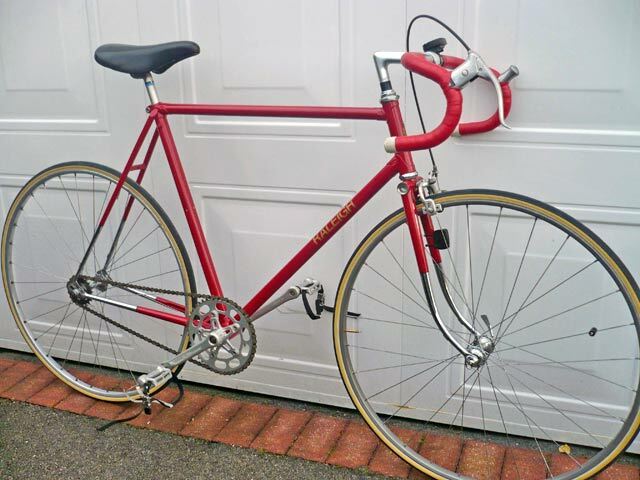 Eric Wilson’s national hill climb bike from 1960s. Is it OK to walk up hills instead of cycling!? A nice short post for a change. Shame you couldn’t build in tobacco and potatoes. Walt Raleigh (English aristocrat, writer,cyclist, poet, soldier, politician, courtier, spy, and explorer. Generally whilst climbing hills, it is not advised to carry potatoes in your back pocket. However, Gandalf the Grey always reckoned a brief puff on a pipe can help with recovery whilst climbing the misty mountains. as ever a great post, thanks. I’m wondering about the benefits of training at a lower cadence for hill climbs. Your post mentions higher cadence is best and then at the end you say riding fixed requires different techniques. I have a singlespeed bike (53*16) that I use to train for hill climbing purely as I thought this would improve my power output. I then ride the actual hill climb events as you set out eg higher cadence with a geared bike. Are there benefits to singlespeed, low cadence hill climb training or should I just be focusing on doing it on the bike i’ll use in events? Hope to see you flying up the 2 stages of Otley’s HC! Hi Paolo, I’m not sure about just using high cadence. I would suggest safest is to train on similar cadence to what you race on. Great read Tejvan. Went ill-prepared to Porlock Hill with 39/25….first time i’ve ever had to stop on a climb….stopped 3 times. Went back to the area week later and tackled Crowcombe non-stop, with better gearing and the flying ants chanting in my ears. Love/hate hills! I had the exact same experience riding up Mow Cop for the first time. That last bit really looms over you. I just enjoyed last Sunday with my first Kilometre-long 20% gradient hill-climbing over a bridge. Quite a few others found out they rather walk with their bikes instead. Great article… I am doing a 6 day tour up in the Alps with a group in 3 weeks time- very excited, but nervous too! It includes the classics e.g Alpe DHuez, but also some monsters like Galibier, Iseran and Madeleine. I have trained hard- interesting what you say about the Alpine climbs being more like a 1-2 hr time trial as that is what I have been doing, as well as shorter intervals, HIIT, sweet spot etc. I’ve also been a regular visitor on my training routes to some of my local hills- inc Streatley, Pishill, Aston, Whitchurch. My concern is gearing- I run on a compact plus 11-25 and rarely use the 25. I’m minded to get a 12-27 fitted ‘just in case’ I start to struggle on the upper reaches of a long Alpine climb, but then I’m also concerned that the different spread of gears may feel strange and upset my rhythm. Despite riding for 50 years I’m still agonizing (literally) over bike position set-up. I have an odd short torso rel. to scoliosis, with longer arms, and in the past always ended up on too large a bike, which forced me to use very short stems, set even or above the saddle height. I still had a long reach which gave me sore lower back, especially on long Colorado climbs of 1-2 hours. Now, however, I’ve shortened things up and dropped the bars a wee bit, but suddenly while my low back is fine, on long seated climbs my upper shoulders and neck spasm in so much pain I have aborted longer rides before my legs are spent. Shorter climbs seem just fine and I can stand no problem. Going uphill when I lean forward I feel my shoulders are cramming behind my ears, and this may be causing the tightness, but I don’t wish to revert to my old extended back straining position, either. Any help for a sore old hobbit? A wonderful insight and very informative but please, when you get some time off the bike, put it good use learning the difference between ‘you’re’ and ‘your’ ‘there’, ‘their’ and ‘they’re’. It would mak it much more enjoyable for the reader. Is that Steve Joughin from Isle of Man being helped on the clim after going into the red? I always thought of him like his compatriot Mark Cavendish as a roadman sprinter? This is an interesting article, but I have to take issue with some of the things you state. ‘Efficiency’; I think you are confusing ‘efficiency’ with ‘outputting maximum power possible’. You are talking from a racing point of view, that’s fine, I understand that. So you are interested in the fastest way to climb. That isn’t the same as the most efficient. Someone touring or ‘just riding’ will be interested in ‘just getting to the top’ and that is going to involve truly being very efficient. 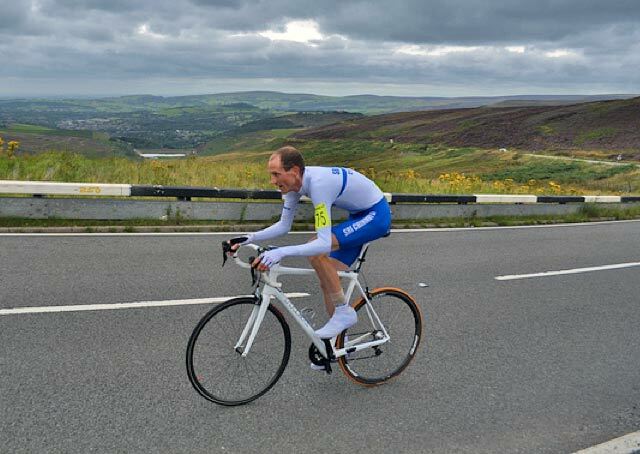 I used to commute over Saddleworth moor from Holmfirth to Greenfield every day, year round, and got pretty efficient at hill climbing. There is a power-output level that is a ‘trudge-along’ level, like hill-walking. Just like hill-walking, you can achieve this either sat down spinning or standing up – over a prolonged climb it pays to mix it up a bit, vary which muscles you use and how. That allows for some recovery. So basically I’m taking issue with the ‘maintain cadence at all costs’ idea. Gear down, don’t be concerned to let cadence fall off on really steep hills and mix up the standing and sitting. Use segments with lesser gradients to recover, stand and trudge up the steep bits. If the road is wet and slippery, sit down, get your arse back over the rear wheel to get some weight on it. You don’t mention this, just talk about reducing tyre pressure.